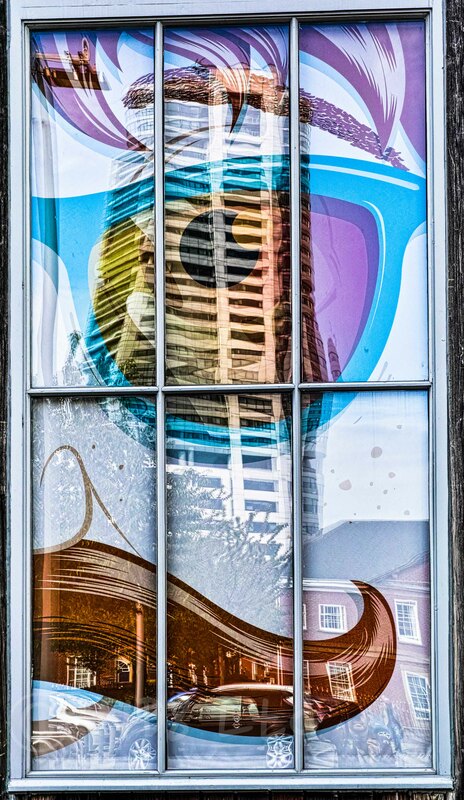 The city’s reflective surfaces conjure up cubist abstracts out of the age old reality, unfamiliar images of familiar places, and unique perspectives on established scenes. Who needs Photoshop when you’ve a puddle or a window! 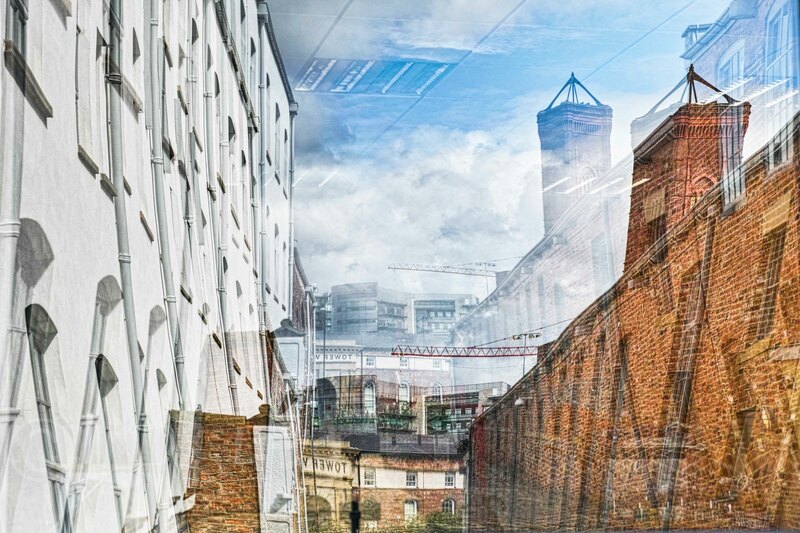 The reflection in office window creates an abstract view of Tower Works. 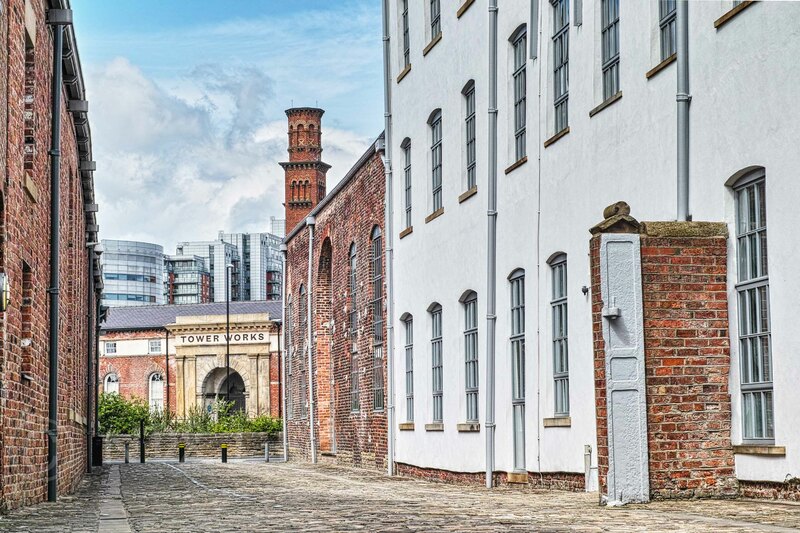 The original scene looking towards Tower Works. 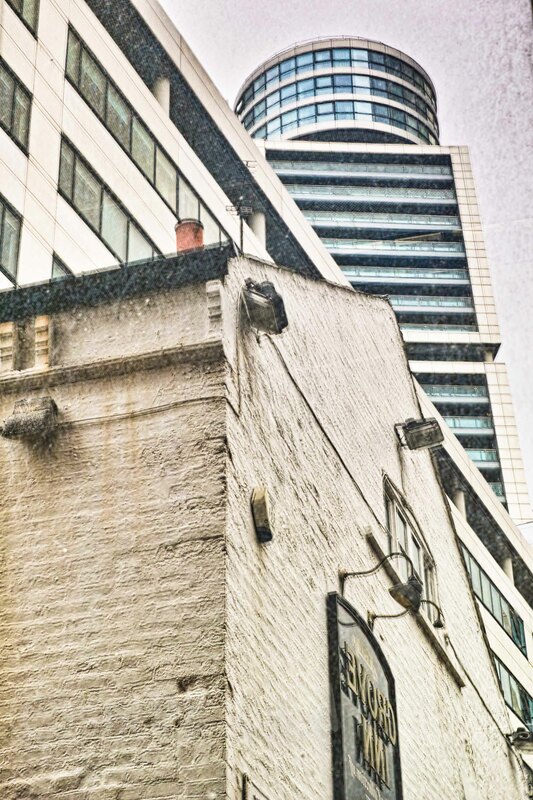 The Grove Inn, with Bridgewater Place towering over.